Frodo Baggins has inherited his uncle’s ring but this small and insignificant gift, the least of rings, could bring about the end of Middle Earth. 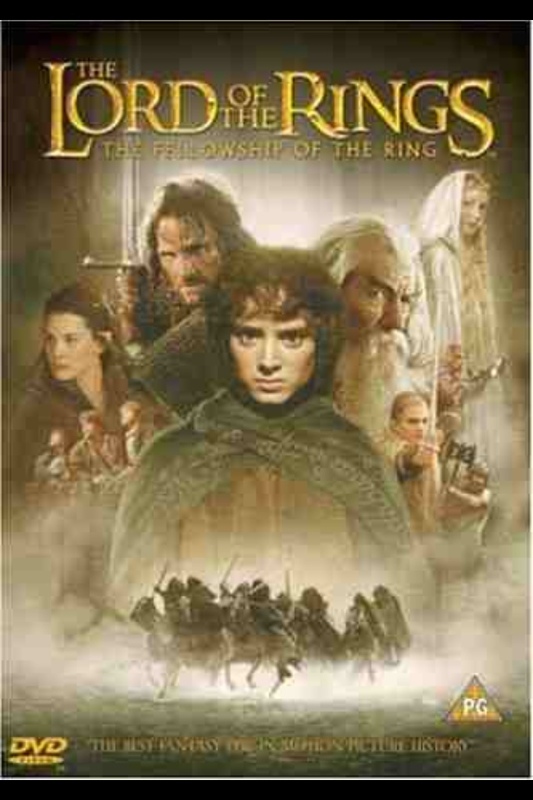 Hobbits, Elves, Man and Dwarves must put aside their differences and combat a common enemy. Bilbo Baggins (Ian Holm) has no idea of the danger represented by his precious ring that he won from Gollum (Andy Serkis) so many years before, or he’d never have left it to his favourite relative, Frodo (Elijah Wood). Gandalf (Ian McKellen) finds out and tells Frodo. Then a dangerous race to safety by four small hobbits begins. Along the way they pick up a stranger, Strider (Viggo Mortensen) and seven other friends that compose The Fellowship of the Ring! For all its flaws compared to the source material this is without a doubt a cinematic marvel. Glorious vistas (of New Zealand) and breath taking special effects lead the viewer through the twists and turns of Tolkien‘s first LOTR novel. Much is skipped in order to reduce the story down to an acceptable length, personally I’d have preferred a six movie version o match the original 6 novels planned by Tolkien. The only real problem with the contraction is that you don’t quite feel any friendship or closeness between the Hobbits, a precious theme of the books, as too much of the journey to Bree is skipped. Having said that, once the Fellowship is formed and Moria looms (and beyond) you forget that and the movie is simply glorious. The losses of Gandalf and Boromir (Sean Bean) are palpable.